If you love the smell of walking into an Anthropologie, you need Capri Blue candles. It smells like a tropical vacation. Kristen is partial to the mercury glass collection because of the glow the glass gives off. She’s also a fan of Jonathan Adler’s red currant candle. Wanna gift a cookbook? We recommend How To Cook Anything by Mark Bittman and the True Foods cookbook. Can a vacuum really change your life? And make your kids more willing to clean? Kristen contends that the Dyson cordless vacuum can. 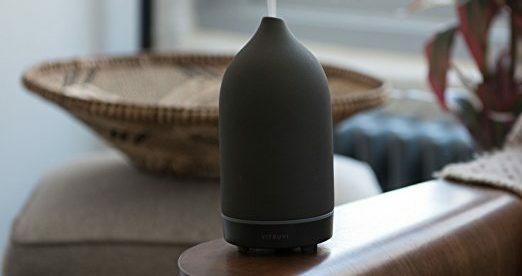 Sarah uses this Vitruvi Essential Oil Diffuser which, in addition to making her home smell amazing, looks like a modern vase. Reusable shopping bags are always a useful gift and Baggu’s are adorable and in a variety of fun modern prints and colors. We’ve long loved 31 Bits jewelry but their new home collection is TO DIE FOR and all purchases benefit women in Uganda and Bali. What do you get the person who has everything? A personalized self-inking address stamp is a thoughtful and useful gift for anyone. Sarah loves the Many Moons Workbook which has tons of information and research on the major Moon phases, recipes, spell working suggestions and advice, manifestation musings, Tarot Talk, and self-help and development prompts. If that level of woo-woo isn’t your thing and you come from a more Christian tradition, check out Christian Piatt’s Surviving the Bible devotional for 2018, a progressive and modern approach to looking at ancient scriptures. With all the great pictures you’re sure to take over the holidays, we’ve partnered with CanvasPeople.com to bring you a special deal on their photo canvases. Normally 11×14 canvases are priced at $69.99, but for a limited time, they are offering a FREE 11×14 canvas. (You just pay shipping.) To get this amazing deal, go to CanvasPeople.com and enter the code SELFIE at checkout. For awesomely hip beanies, messenger bags, and more, check out the goods at Krochet Kids, which are created by at-risk women in their educational sewing programs in Uganda and Peru. For the techies, we love the Amazon Alexa as a way to play music, add groceries to your list, check the weather, and answer your burning questions. It’s like your own personal assistant. And speaking of Alexa, the voice-activated amazon system can now control Sonos Speakers! Sonos lets you wirelessly Stream all your favorite music services like Amazon Music, Pandora, Apple Music, and Spotify directly, so it leaves your phone alone. You can pair speakers throughout your house. An affordable gift that keeps on giving is a Roku Streaming Stick. At only $27 it can turn any tv into a smart tv, giving you access to Spotify, Hulu, Netflix, VUDU and all kinds of online entertainment channels. Some great coffee-table books include the new visual compendium of David Sedaris’s diaries, the hilarious collection of satire from The Best of McSweeney’s Internet Tendency, and The Monocle Guide to Better Living. These old-school Oak Letter Boards are a great personalized addition to any home and can allow you to highlight an inspirational quote or daily menu. Sarah is a huge fan of Woodlot for their palo santo incense, original essential oil blend for diffusing (fir cedar pine orange vanilla), and lovely smelling candles. Reading Bug Box is an amazing book subscription that delivers 2-3 books to your home each month customized to your child’s reading level and interests. 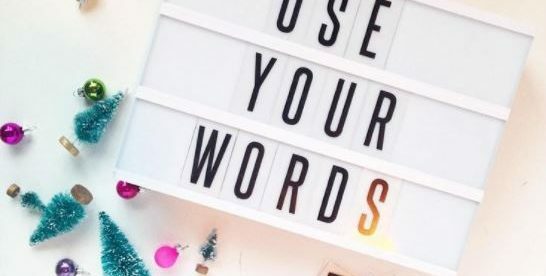 A Lightbox Message Board is a fun gift for kids and teens alike that allow them to express themselves with lighted quotes or messages. 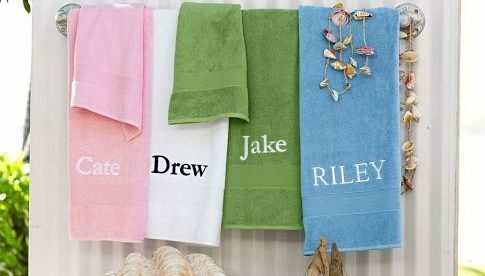 Personalized towels from Pottery Barn kids are not only cute but they can help your child take ownership and accountability for keeping their own towel clean, dry, and OFF THE FLOOR. Schmidt’s Natural Deodorant is our favorite for adults and tweens alike. For girls , e love the rose vanilla scent. Kristen’s boys are partial to cedarwood juniper. Penny Candy is a small press publishing children’s books that honor diversity and foster big conversations, from adoption to the civil rights movement. Himalayan Salt Lamps enhance the ionic balance of your living spaces. But more than that, we just think they are pretty. The Alexa Dot is an easy, voice-activated speaker that kids can use to set an alarm, ask questions, or play their favorite music. Sarah’s kids are obsessed.